So we meet Luce Price, a transferee at Sword & Cross boarding school (which sounds more like juvie if you ask me with all the cameras that record their every move) after her boyfriend Trevor died. Then she met Daniel Grigori and for some reason she feels drawn to this person even if Daniel is not interested. And thus began Luce's painful lesson on self-esteem and breaking those rose-colored lense she seems to be wearing. 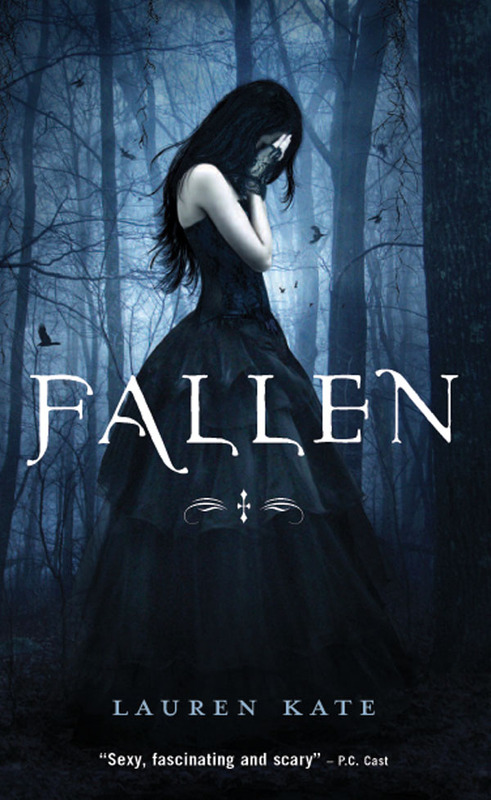 This is a YA series and it has all the emo qualities that seems to be so popular with the younger generation nowadays. I had such high expectations on this book because it's supposed to be a big hit with all the good ratings that it has been getting. Sad to say, I was not blown away as I expected I would be and it didn't help that this is my first Audio Book. The plot holds such promise, fallen angels, reincarnated star-crossed lovers, reliving the tragedy of their unfulfilled love, etc. But it didn't follow through, the sequence is shot and the writing and dialogue is not as engaging as I hoped it would be. Another thing that peeved me was Luce Price herself, considering the fact that this seems to be a hit to the YA group. Like Bella Swan, she's not exactly what you'd want to set as an example for an impressionable teenage girl except if you're showing an example of what NOT to be. I understand the attraction that she feels for Daniel but come on girl! He turned you down in more ways than one, don't humiliate yourself and become desperate just to get the guy. An example of this is when the statue fell on them and Daniel didn't even check to see if Luce is ok, he just went on his way and acted like nothing out of the ordinary happened. How can you still like someone like that? Even the laws of politeness and faked niceties dictates that you ask how a person is doing especially after a disastrous event. Let me tell you, Daniel's Momma didn't raise him right, so callous and arrogant for his own good. Tsk tsk tsk. Lauren could've made Price's character role-model material, independent, confident and a fighter instead of a troubled girl with low self-esteem. I really had a no-you-didn't moment when she quoted Audrey Hepburn in Roman Holiday to relate her situation with Daniel "There was a man, he was so mean to me he was wonderful!". Seriously? The 60's & 70's already happened since that movie and I bet if Audrey is still alive, she'd regret saying those lines. I actually liked her BFF better, Callie, who believes that a guy should prove that he's worthy of you, she should've been the heroine instead of Luce. Les sigh! As the book ended, I remained unfulfilled, back tracking just to make sure that I didn't miss the realization of the promised exciting plot. This book seriously confused me, he likes Daniel but there is an attraction between her and Cam so I don't understand why, as a teenager who seeks approval, she just didn't go with Cam and just ignored Daniel. But of course the conclusion of the book is still happy in the sense that Daniel and Luce still ended up dating. But after hearing how Daniel was such a jerk, I was too annoyed to be in the moment with them. However, I will tread on and read Torment and hope that Kate had an awakening and decided to improve the story. Anyway, the buzz on the street says that Disney is developing the series into a movie and Kate Lauren's choice to play Luce is Pretty Little Liar's, Lucy Hale. I hope Disney takes huge amounts of poetic license and revise the story and make it into something worth aspiring to. We already have Stephanie Meyer and her Twilight series, we don't need another one to corrupt the minds of our youth, we need an antidote not another contaminating agent out to send the wrong signals to the mealleable minds of our youth. Come on people! Our older sisters didn't fight for women's sufferage and burn their bras for nothing! Whatever happened to girl power? We need strong female characters like Mercedes Thompson and MacKayla Lane, even thos historical romance novels have feisty females. I know! So tragic! After I read your review I was hoping that I would have a different opinion because the series is just so popular. I just borrow books from the library and the book got lost so I'm stuck with the audio one. I don't know how you do it, Diana, I don't think I can do audio books again. But for the first time, we also have statistical evidence for the value of the humanities. In 2011, Richard Arum and Josipa Roksa published "Academically shirt cutting Adrift: Limited Learning on College Campuses." What most people took away from that book (no doubt partly because of the title) was that college students are goofing off: They spend far more time on social activities than on homework. The results show up on a test called the Collegiate Learning Assessment, which basically asks students to deal with complex material and write a persuasive account lil uzi vert shirt of it.